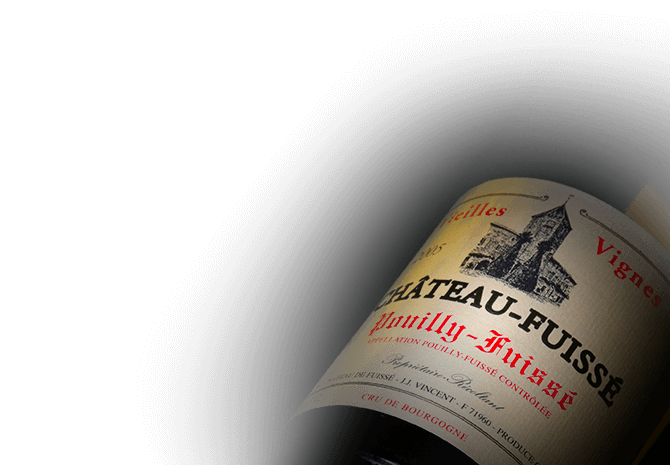 The Vincent family has owned Chateau Fuissé for five generations. The estate is located in Burgundy, with most of the vineyard holdings in Pouilly-Fuissé, as well as some hectares in Saint-Vernan, Macon-Village, Macon-Fuissé and Julienas. Respect for the terroir, the vintage and the Chardonnay varietal are the three essential ideals of the estate. Each parcel is cultivated in a unique, specialised manner. The fruit is harvested by hand, and sorted slowly and carefully. Every distinct cuvee is fermented independently, in barrel or vat depending on the wine's style. And throughout the remainder of the winemaking process, thorough technical monitoring guarantees the quality of the wines of Château-Fuissé.